The essence of Hongdae’s entertainment scene are the clubs. Hidden amidst Hongdae’s club district are several old jazz cafes and music dabang (old-fashioned coffee houses, often stocked with extensive LP collections) where you can still hear pop music from the 1990s. Hongdae is at its most “Hongdae-ish” on the last Friday of each month when it hosts “Club Day,” which will give you the opportunity to get a single ticket letting you enter a total of 21 clubs. The charm of those clubs is twofold: they’re great places to relieve some stress through music and dance, and they help reduce cultural divisions. The jazz clubs and music dabang, which have been around since the 1990s, have plenty of old albums and LPs; they also welcome requests from customers. If music alone just won’t do it for you, head to the B-Boy Theater or the indie music clubs. One of the best known among the indie clubs is Salon Badabie, which has earned a reputation for being a great help in developing indie bands. Run by a poet who goes by the pen name Ujungdokbohaeng, Salon Badabie is where young musicians can find themselves. They usually throw parties after the performances and sometimes poetry readings as well. 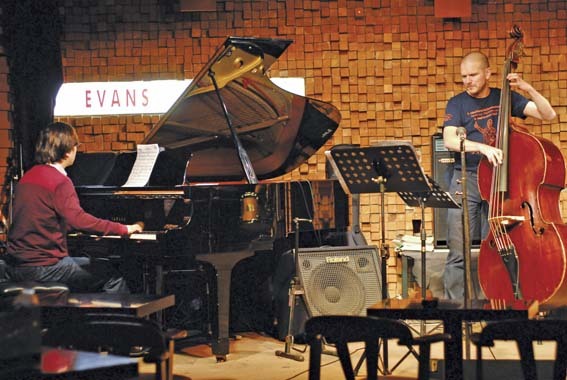 While operating its business for more than 10 years near Hongik university area, Club EVANS has served as an development site for talented jazz musicians. Under its philosophy of “Musical Diversity over Profitability”, EVANS provides both training and locations, including its own recording studio and jazz academy. By focusing on this unique ideology, EVANS Label aims to create a young and brilliant Korean Jazz music scene.